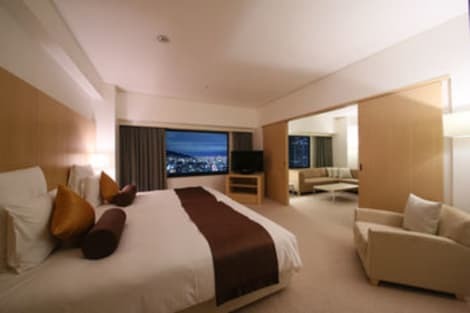 Choose the ANA Crowne Plaza Kobe hotel for sumptuous cuisine and fine views of the city from Rokko mountain, next door to Shin-Kobe rail station. Stroll across the footbridge from Shin-Kobe rail station and into the spacious Lobby at ANA Crowne Plaza Kobe. Our friendly Guest Relations Manager will point you towards your calming room for views over Kobe, or to the hiking trail, Shin-Kobe Ropeway and Nunobiki Herb Garden that ascends behind the hotel. Celebrate at our 7 restaurants serving Italian, Chinese and local Japanese flavours, or upgrade to a Club room or Suite for access to the exclusive Club Lounge. ANA Crowne Plaza Kobe is steps from Shin-Kobe rail station where your shinkansen bullet train whizzes to Tokyo in 3 hours and Osaka in 15 minutes. It's also just 1 subway stop to downtown Kobe, where you can immerse yourself in the pulsing neon lights of this cosmopolitan city. Kobe Airport is 8km away. There's space for 2,500 people at events in our chic ballroom. Energise in the hotel's bright indoor pool and Fitness Centre, or rejuvenate through a fusion of Eastern and Western treatments at our Angsana Spa. Views from the Level 36 restaurant stretch to Osaka, while seafood is lovingly prepared in Akashi. Marbled cuts of prime Kobe beef create a satisfying sizzle in our intimate Kitano teppanyaki restaurant. We aim for your stay at ANA Crowne Plaza Kobe to be equally fulfilling. The extensive facilities including baths, three saunas, and four different stone sauna rooms are on on 10th floor. Massage area is on the 8th floor. Enjoy a satisfying meal at Le Mistral serving guests of Hotel Sunroute Sopra Kobe. Buffet breakfasts are available daily from 6:30 AM to 9:30 AM for a fee. 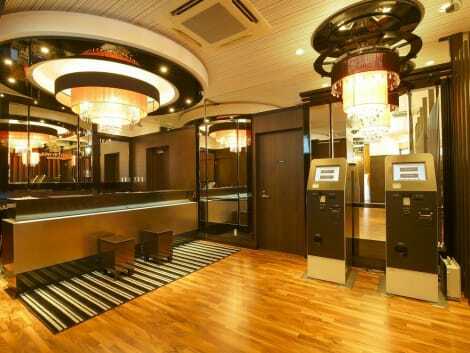 Located in Kobe (Nankin-machi), Smile Hotel Kobe Motomachi is within a 10-minute walk of Kobe Tower and Meriken Park. This hotel is 0.7 mi (1.2 km) from Kobe Harborland and 2.7 mi (4.3 km) from Port of Kobe. With a stay at Hotel Monte Hermana Kobe Amalie in Kobe (Sannomiya), you'll be within a 10-minute drive of Kobe Tower and Meriken Park. 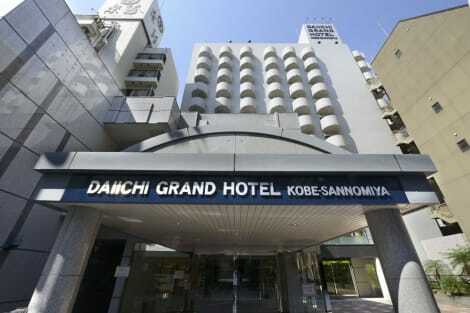 This hotel is 2.8 mi (4.6 km) from Port of Kobe and 11.3 mi (18.2 km) from Hanshin Koshien Stadium. Make yourself at home in one of the 192 air-conditioned rooms featuring refrigerators and LCD televisions. Private bathrooms have bidets and hair dryers. Conveniences include phones, and irons/ironing boards can be requested. Enjoy a satisfying meal at Little Ann serving guests of Kobe Tor Road Hotel Sanraku. Buffet breakfasts are available daily from 7 AM to 10 AM for a fee. Make use of convenient amenities such as complimentary wireless Internet access, concierge services, and gift shops/newsstands. Getting to nearby attractions is a breeze with the complimentary area shuttle. lastminute.com has a fantastic range of hotels in Kobe, with everything from cheap hotels to luxurious five star accommodation available. 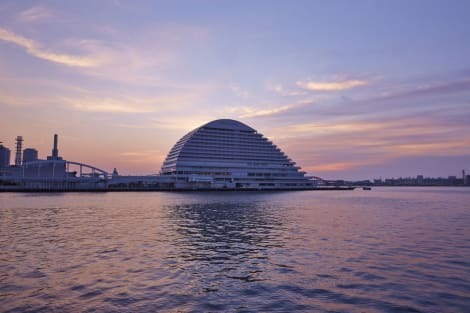 We like to live up to our last minute name so remember you can book any one of our excellent Kobe hotels up until midnight and stay the same night.